This offer comes with the all new Brio 500 series, POU dispenser (i.e. bottleless). Comes in Dark Black or Bright White Room-Temp and Cold Water Cooler / Dispenser w/ a 1500 GAL capacity water purification and filtration system (shown on listing) and a complete universal installation kit. Backed by customer support from "Magic Mountain Water Products" a company with more than 30 years experience in the water filtration POU industry. This entire dispensers customized interior is made of polished stainless steel, i.e. the frame, bottom, reservoir and it's shelf, and even the faucet lines are stainless steel. This product is superior over other zinc metal units (which is 95% of the industry). It will not rust or corrode ever!! (Finally!! a product at a decent price that is going to out last you). Also has adjustable cold water thermostat, and sold quick pour faucets. Brio 500 Series Dispenser w/ Adjustable cold water thermostat with on off switch. 1500 GAL Capacity multi stage water purification and filtartion system. Stainless Steel Reservoir, Frame, Shelves, Bottom, and Faucet Lines (real quality). 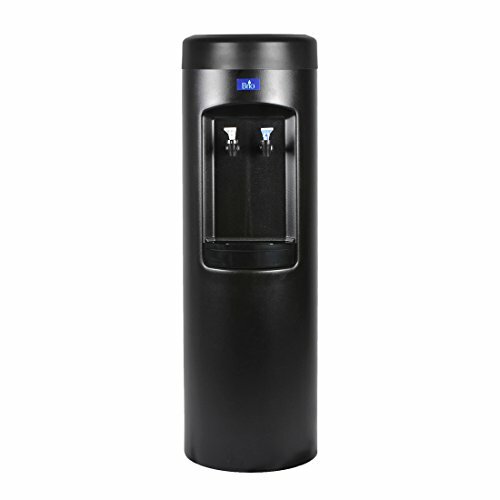 If you have any questions about this product by Brio Premiere Platinum 500 Series Hot and Cold Bottle Water Dispenser, contact us by completing and submitting the form below. If you are looking for a specif part number, please include it with your message.